The Eiffel Tower is the undisputed symbol of Paris, the most visited monument in the world and an icon of romanticism. Are you looking for information for your visit? 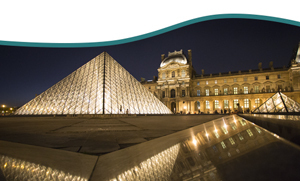 This article has been put together especially for you if you are planning to visit this Parisian icon and be able to admire it from all the most eye-catching perspectives. 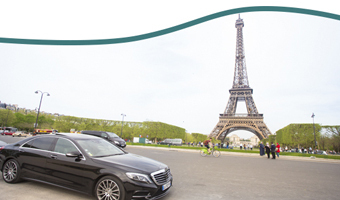 Getting to the Eiffel Tower is really easy, in fact, you can choose from a variety of different modes of transport: by bus, on the Metro and even on the RER, all of which are connected to this Parisian icon from wherever you are in the city. Below you will find a list of the different means of public transport which have at least one stop that is close to the Iron Lady! RER C (Champ de Mars stop). If you arrive here at night and want to stay and have something to eat whilst sitting on the grass or in one of the local eateries, pay attention to the times of the buses! In fact, some of the bus lines, such as the number 87, for example, do not stop here at night after 21:00 or on the weekends. 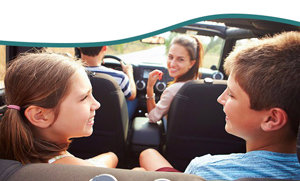 Therefore, depending on your end destination and the time at which you wish to return, you will need to change your mode of transport for the return journey or, you can always call a taxi. Winning first place on this list, we find ourselves at the Champ de Mars, at the stop for the "Tour Eiffel", (which can be reached on the number 82 bus). When you approach from this side of the gardens, the wonderful "Iron Lady" appears even more majestic and imposing to the viewer. In fact, visitors will find themselves right at the foot of the tower and just a stone's throw from one of the access points via which you can reach the top. You can choose whether to climb to the very top either on foot or via the lift - it doesn't matter which. 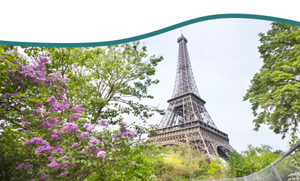 What is important is the ascent and, when you eventually reach the top of the Eiffel Tower you will be able to fully admire the elegance of its construction and view Paris from on high from one of the most breath-taking perspectives in the city. In order to avoid long queues, but above all, in order to really enjoy this unique experience, we recommend that you buy your tickets on-line which means skipping the queues and comes with a guided tour included in the price! In second place are the beautiful gardens of theTrocadéro (the stop is called Trocadéro - on the Metro Lines 6 and 9). If you are travelling with your family, including children, this park is the perfect spot for children to run around and play both on the park's games for children as well as enjoying the stunning characteristic ferris wheel. The gardens are a special place where you can relax in the shade from the trees as you take in the amazing view. In addition to all this the Trocadéro Gardens really merit a visit in the evening when the lights on the Iron Lady are lit so that she can shine brightly in all her glory. And last but not least on the Top 3, we find ourselves once again in the gardens of the Champ de Mars. In this instance we are focussing more on the central part of the gardens which can be reached from the stop at "La Bourdonnais" (reachable via the number 87 bus). Acting as the focal point of this area is the Place Jacques Reuff which houses a gigantic fountain with numerous jets of water. 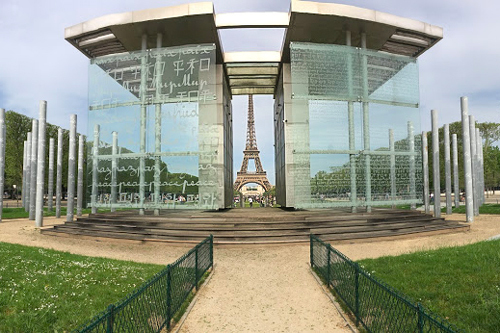 Approaching the inside of the gardens, you will be able to admire this iconic symbol of Paris through the famous "Wall of Peace" which is constructed out of glass and was built to honour world peace, a symbol of brotherhood in 32 different languages. Our recommendation is to visit it at night as well as during the day, on more than one occasion. But, if you want to experience it like a true Parisian, you should hang around and admire the tower whilst lying on the grass with something to eat and a nice bottle of wine! If you forget the wine or to bring some water, don't worry, because there are plenty of vendors wandering around selling drinks and souvenirs.